Pre-school is a best place to nurture inherent talents among young and growing children. It is a best place to teach children basic habits such as toilet sitting, eating himself, learning numbers, colors and so on. Thus, it has become an essential thing to admit your child in a pre-school before admitting him in regular day school. Let us check top ten pre-schools in Noida which is located almost around 25 Kms nearby New Delhi. As the name implies, the children learning in this school will really enjoy the “Happy hours” while learning. It is a school which is started by Lal trust in the year 1993 in Greater Noida. It is one of the schools which introduced air conditioned class rooms in Noida. Also, it consists of additional facilities such as Karate class, abacus teaching, dance class and crèche facility. It provides highest security to the students through various safety processes. It has student teacher ratio of 1:15. It is an international school which adapts to the curriculum of USA standard NAEYC. It offers not only pre-school facility but also day care for working parents. This school has earned positive reviews and reputation among parents and considered as a best school for Toddlers who migrate to India from other foreign countries. This is one of the best pre-school chains which is located at greater Noida. It is the school which concentrates on cognitive learning along with extracurricular activities such as singing, dancing, art, craft and others. This school has been emerged from the Eurokids International Private LTD which is world famous for introducing children books. By now, it is present in more than 800 centers across India. This school follows an excellent motto named “Help me to do it myself”. It has excellent teaching facility with well talented staffs along with activity room, play area and library. Other facilities which are offered are day care facility, transport facility and crèche facility. Karate classes are also going on to help children become strong right from young age. Toddlerzee is a best pre-school chain which has more than 1000 centers all over India and has gained reputation among parents through its ILUME method of teaching. ILUME method is a newest method of teaching which gives importance to every child and makes learning comfortable and fun. After completing pre-schooling in Toddlerzee, students can be admitted in Mount Litera Zee Chain of schools which is in association with this school. Toddlerzee also has crèche and transport facilities. Right from the year 1996 when it was launched, it has been quite successful till now. It has excellent transport facilities with pick up and drop. The minimum age of intake is 2. This is the only school which has its own research and development department and its Noida branch is located at Paschim Vihar. 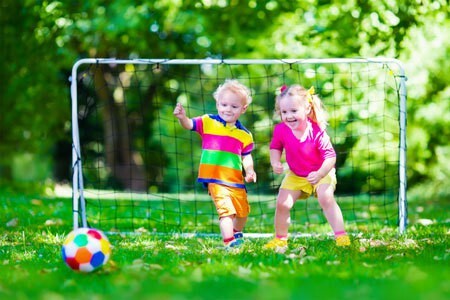 It strictly follows “Concept learning” which involves learning through games and play things. It is a school which specially concentrates on language skills of the students right from the age of kinder garden. It helps in honing the language skill and improves their vocabulary through trained staffs and teachers. The school is fully equipped with modern infrastructure along with air conditioned classrooms. This school also has a facility of crèche. Little angels is one of the oldest pre-schools which was founded in 1985. It adapts to the Montessori method of teaching which is a systemized and regularized approach of learning. Also. Creche facility is available right from 8.00 A.M to 6.00 P.M from Monday to Friday. Other facilities of this school are fully Air conditioned campus, daily pick ups and drops through best transport service and activity room such as splash pool, ball room, etc. This is one of the top most reputed pre-school chains in Greater Noida which was started by the famous educationist Mrs. Meera Chandra. Play way method of curriculum is followed in this school which encourages the children to learn through play items and games. The classes are fully air conditioned, pick up and drop services are available for toddlers and has a student teacher ratio is 1:10. The nursery school timings are between 9.00 A.M to 12.00 P.M. This is the top most pre-school in Noida which is also located in greater Noida region. It concentrates on language skills and creative thinking of each child along with health and hygiene. It is the one of the schools which offers boarding facility even for nursery children. The school campus is spread around in 1000 acres of land with latest state-of-art facilities.